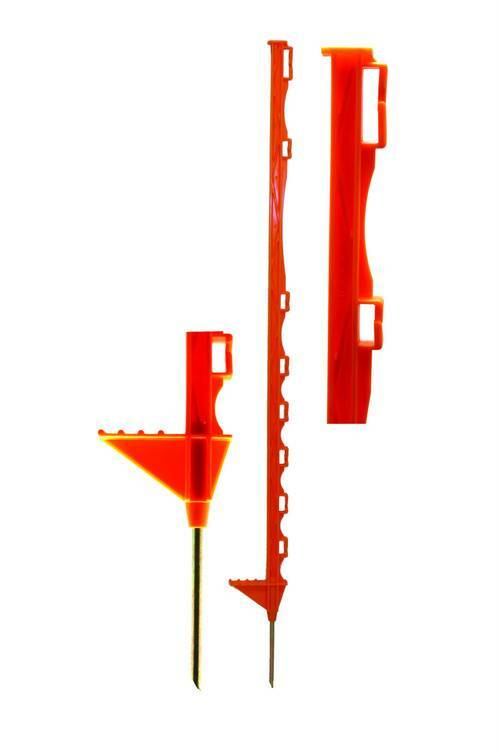 Premium paddock post made from 100% pure plastic (no recycled or mixed plastics). This post is strengthened with a strong H section and is ideal for all types of paddocks and fence set ups. The posts stand 1m tall, come in a pack of 10 and are available in white, blue, orange and green. For use with tape, rope and wires. UV protection.